Few years back, I published how one could get a verified PayPal account in Pakistan and many other unsupported countries and many of the people enjoyed the service of PayPal, that is one of the most used online payment system by companies and individuals. 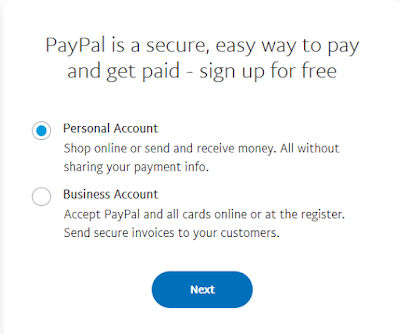 Though soon later, PayPal officially dropped the support of Payoneer and it was no longer possible to connect a Payoneer card with PayPal account. This guide goes through 100% working PayPal trick, so don't get demoralized that this might also not work! I have tested it out and have only shared it once knowing that it works like a charm. Using this, you'll be getting a fully working US PayPal account. Having said that, I would like to give a brief disclaimer down below regarding this strategy as it's not what officially is supported by PayPal and this is against PayPal's TOS, though the method currently works and you can use your PayPal just normally, transfer money online, withdraw funds via Payoneer and more. Please note that this method is not legal and is against PayPal's TOS. PayPal doesn't allow to create accounts using Proxies, Un-realistic profile data etc. You would want to try this method on your risk. Before any further due, let's get started and see what you need to do to get a verified PayPal account in Pakistan. In this step, you will be gathering basic set of information that we'll be using in the upcoming steps like profile information, address etc (all software generated/fake). Go to Fake Name Generator and select your desired gender. Leave the country as 'US' as we'll be creating a US PayPal account. Checkout the image below to know the settings. With this step, you'll be getting a lot of fake profile information, though all we need is a name of a western person. You can also come up with a random name your self, though it's wise to not use your original name. Now is the time to generate fake US residential address. 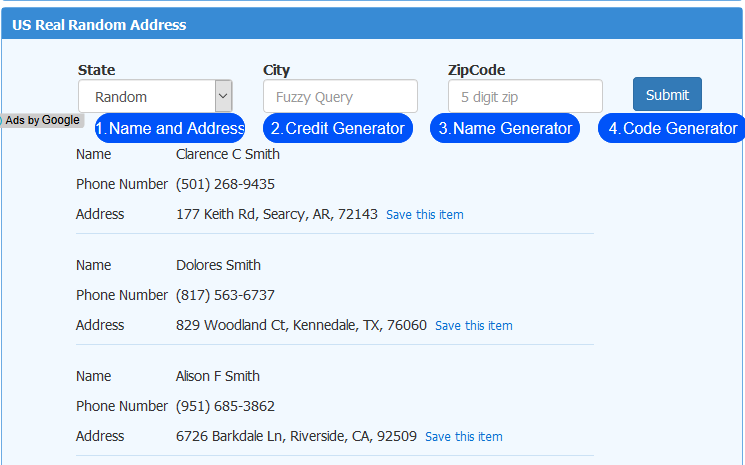 Simply go to US Address Generator and scroll down (as shown in the image below) to see random US address. Choose one and note it down with you. This is the most important step. You need to download Google Chrome proxy extension named ZenMate VPN (though you can use others, but I'll recommend this one as it's free and simple to use). Now with the proxy on, open up US PayPal home page and click 'Sign Up' button and select 'Personal Account' after that. In the upcoming screen, enter your 'original' email address that you have access to. In the next steps, PayPal would ask you to enter your profile information like name, address and phone number. 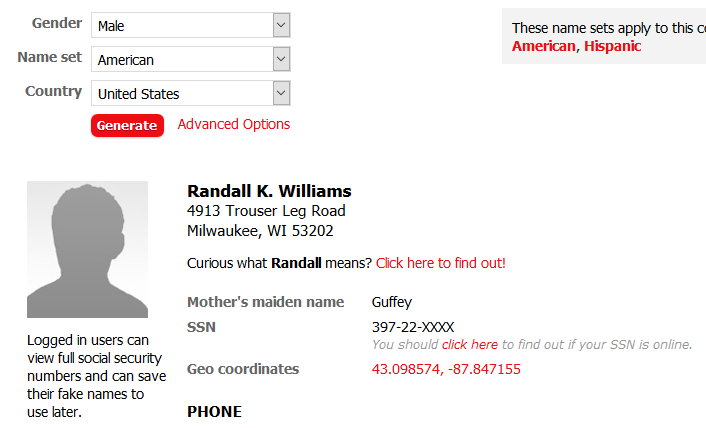 Simply add the fake name you generated before, likewise enter the US address. Then, you need to a valid US phone number. To do that, go to TextNow service. 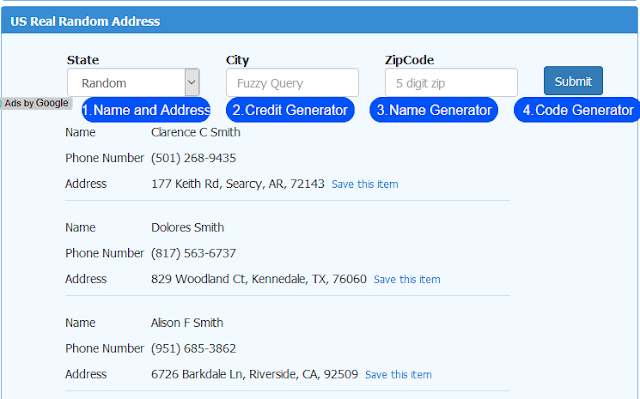 You need to enter the area code/address exactly as that you generated in the previous steps so that TextNow would grant you a valid phone number for that area in United States. Below is how it's panel looks like. Once you select verify phone number in PayPal, you'll receive a confirmation code as shown in the image below that you need to re-enter in PayPal. Once your account has been verified, you'll then have to link up your bank account so that you would be able to make a withdrawal once you have funds into your account. 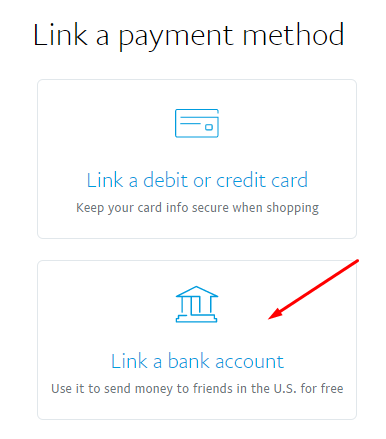 The next step is to click the 'link a bank or a card' link in the left sidebar, as shown in the image below. Once done, you'd see a window as shown in the image below. Click 'Link a Bank Account'. Once you'd click that, you'll see a window coming up as shown in the image below. 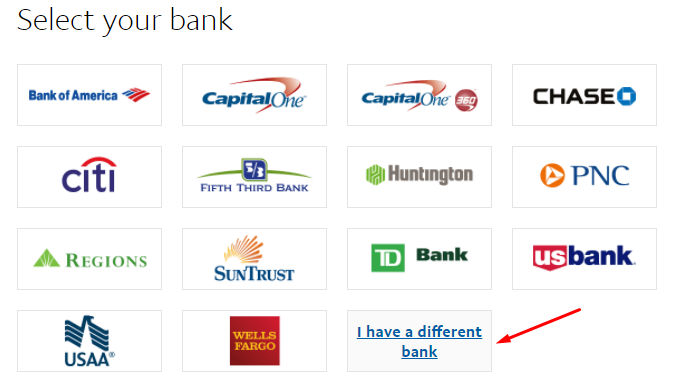 Choose 'I have a different bank'. Once done add your bank account details in the form as below. You'll find these details by going to the 'Global Payment Service' and Click 'Global Payment Service' as shown in the image below. Once clicked, you'll find the Global Payment Service information as below. Once you've all the details from here, you'll enter those in PayPal while adding a bank account. PayPal would then make 2 payments to your Payoneer/Global Payment Service account. It takes a day or two for the payments to show up in your Payoneer account. Checkout the image below to see. The two payments are sort of for verification purpose that you have received the amount. PayPal later asks you to add what are those exact amounts that you've received so to verify your Payoneer. 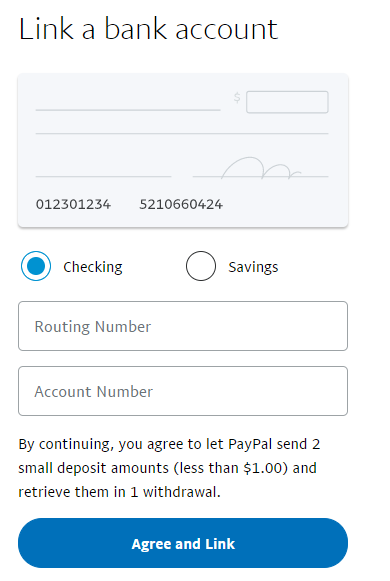 Once you receive these payments into your account insert the payments in PayPal verification module that asks to accept these two transactions. PayPal would immediately add up your bank account. With all of the details above, your PayPal account would get verified and your bank account would be linked. Though, there are fair chances that PayPal would limit your PayPal account with in a day or two right after all of this process. This means, it would then ask you to give proof of your identity like you'd be asked to upload your passport or driver's license etc. Don't worry, that it quite easy to do so. Before we proceed, know that steps from here on are to create fake identity documents. You can easily use Adobe Photoshop and edit out your documents just like below. 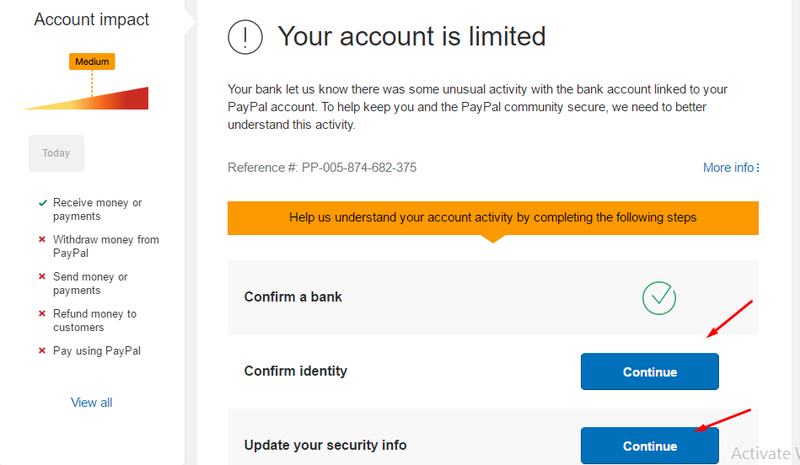 Once done, simply upload them to PayPal and you'll see your account would get back to normal, working fully. 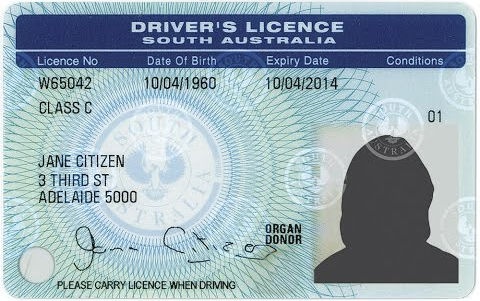 You would have to Photoshop a driving license document that is what works in the state you have mentioned in the address. For this you'd be requiring fine skills to edit the picture with your picture and other profile details. The better you do it, the easier would be for you to get your account back to normal. Once done, simply upload the documents using the module as shown below. Hope that was helpful for you guys. 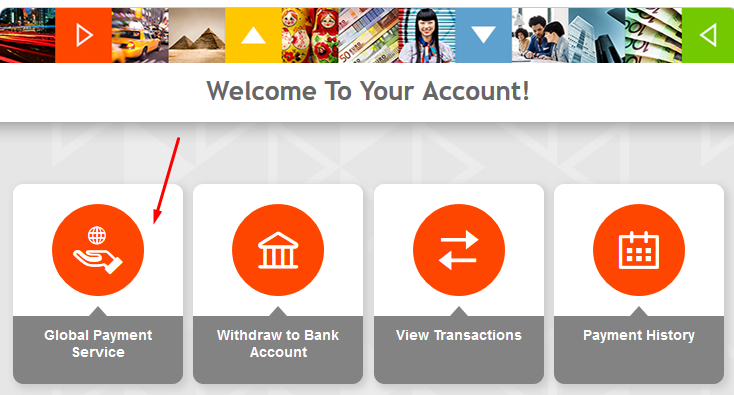 I've gone in detail about what Payoneer US Payment Service and how you need to create a Payoneer account. Let me know in the comments below if you have any questions in this regard.